We've been a bit busy, checking new mechanics to improve the game and we are so close to have a good product for you. 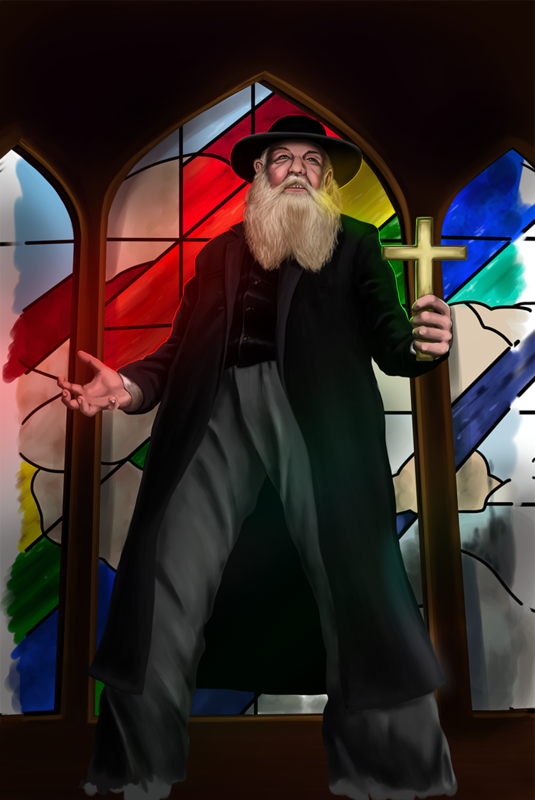 Today we are glad to introduce you a new illustration from Marina Polo: the parish priest. Besides of being a magnificient illustration it has something special: it's one of the characters that we will play during the game. We don't want to unveil much more for now because we are in constant change... but we will tell you once we are ready!